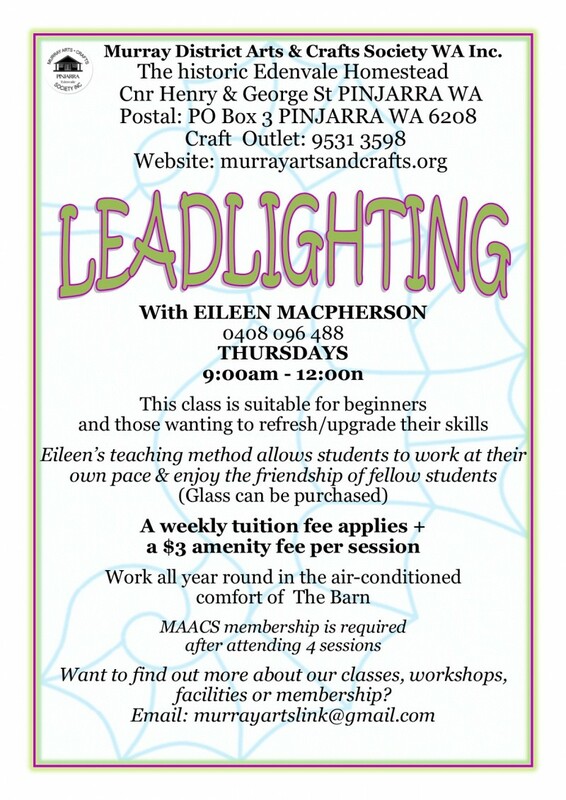 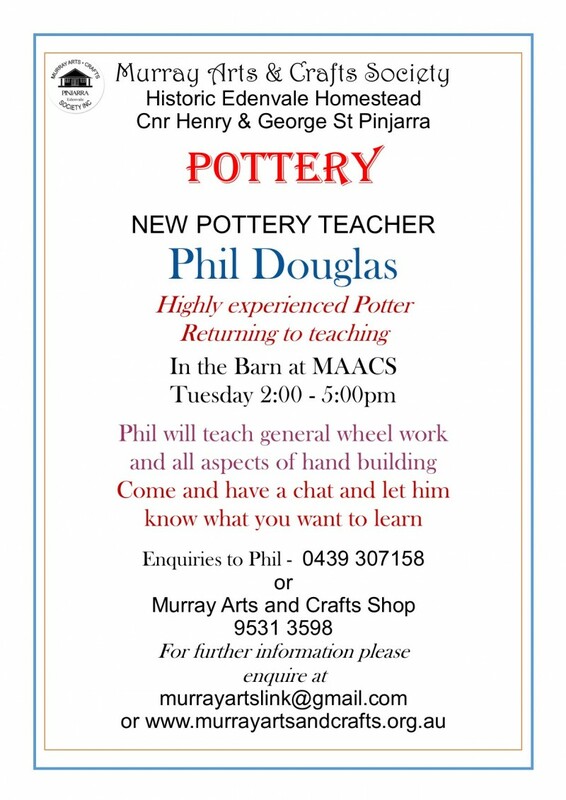 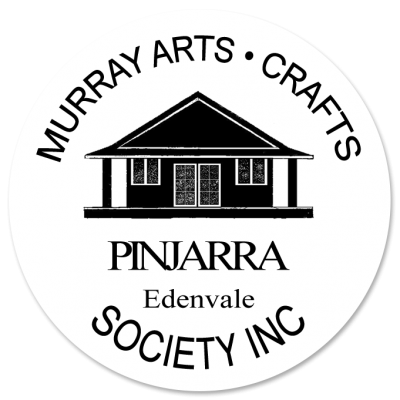 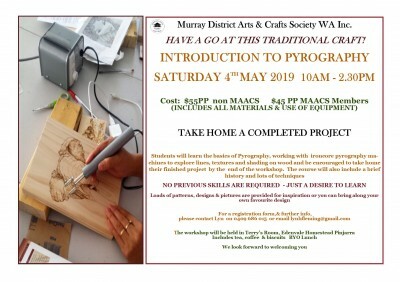 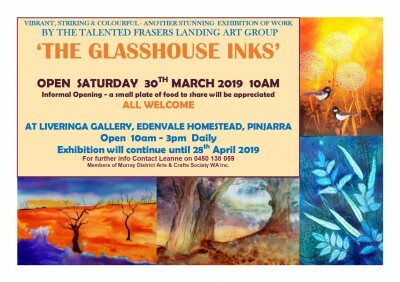 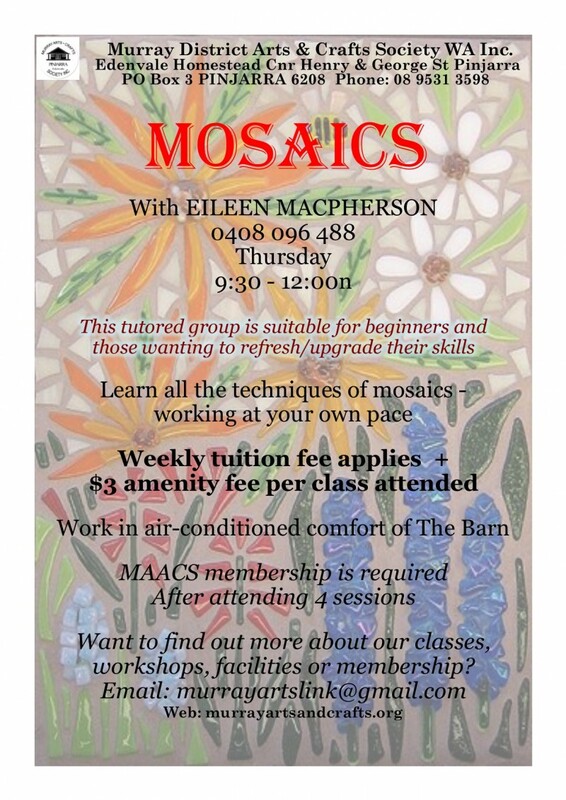 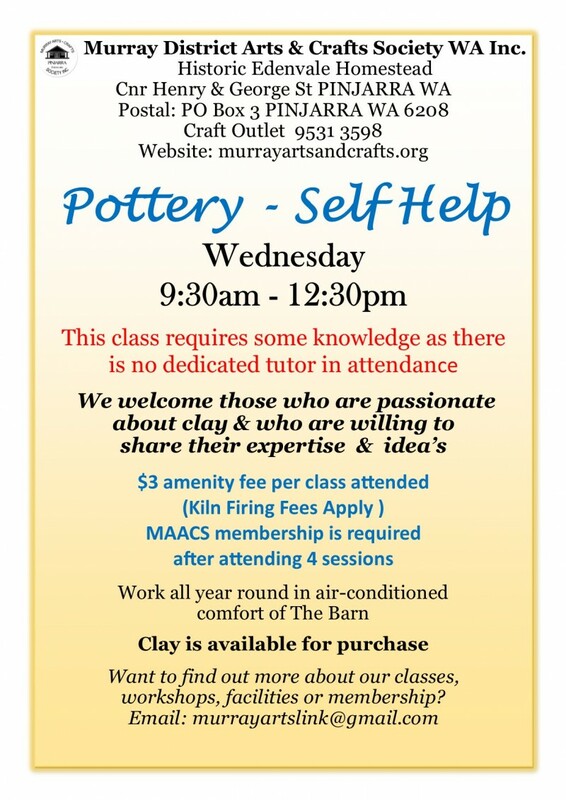 MURRAY DISTRICT ARTS & CRAFTS SOCIETY WA INC.
Murray District Arts and Crafts Society exists to foster community engagement in arts and crafts within the Greater Peel Region of Western Australia. 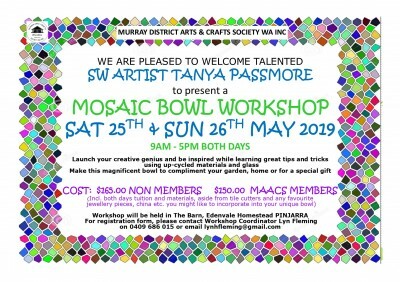 We have potters and painters, leadlight, leather and wood workers, ceramic creators, knitters, sew-ers and so on and a dedicated band of committee members. 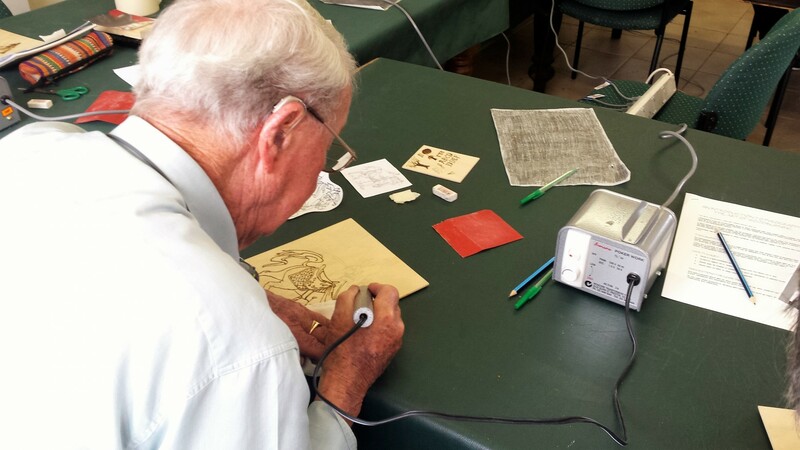 Interwoven in all activities is a sense of fellowship and community. 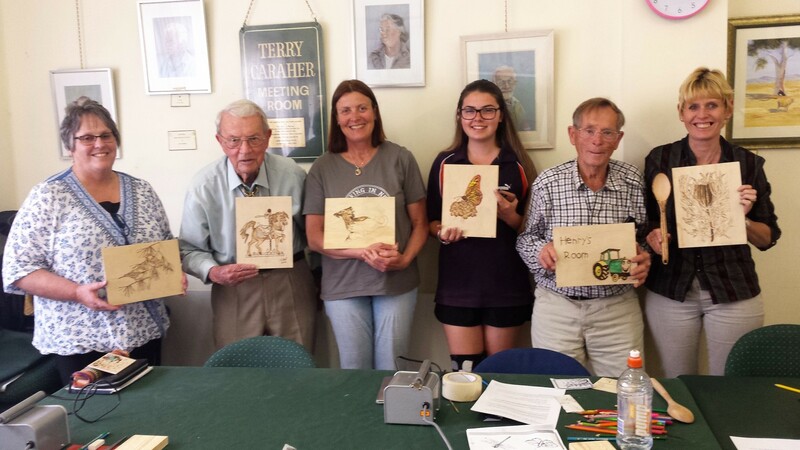 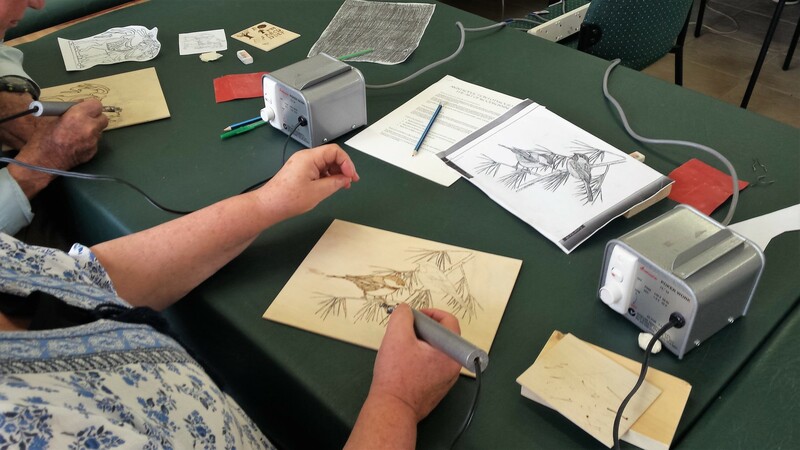 Events are held throughout the year to showcase our members' crafts, to encourage participation by the public, and to assist with fund raising. 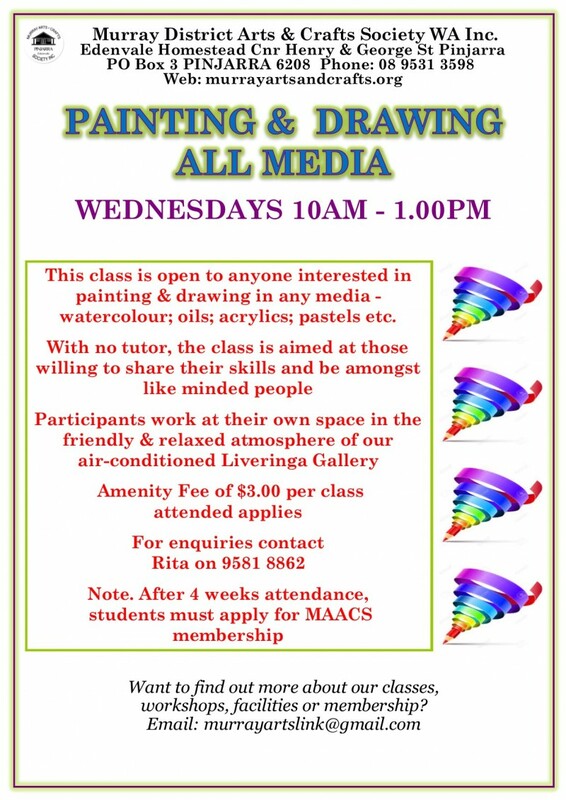 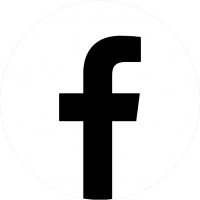 We are always looking to welcome new members into our groups. 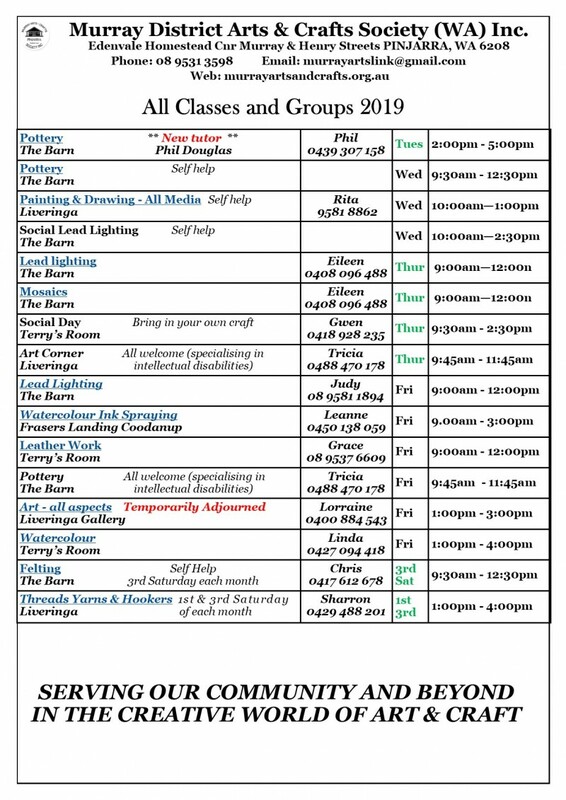 If you are interested in joining or would like to attend one of our regular workshops or events, feel free to contact us. 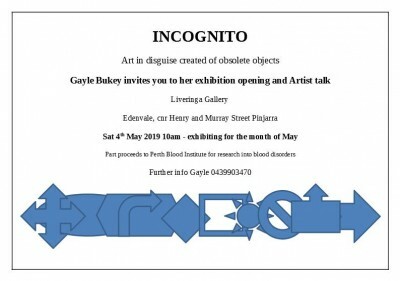 Incognito with Gayle Bukey Liveringa Gallery Sat 4th May, 10am to Fri 31st May, 3pm Art in Disguise created of obsolete objects.